Boy Scouts from Troop 4 of Ann Arbor have been working with Emmet County’s Historical Commission to restore the structures originally on the grounds of McGulpin Point Lighthouse. 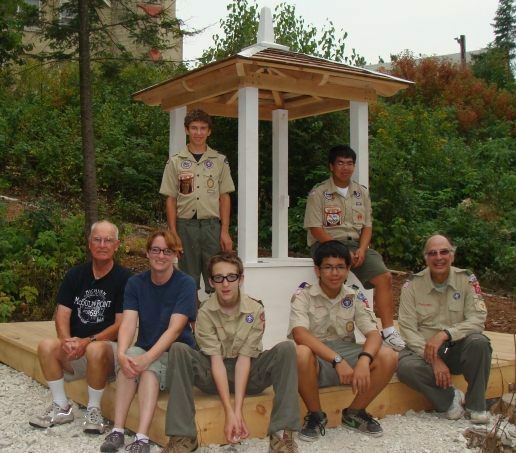 Scout Tommy Oldani, age 15, recently led a team of scouts to reconstruct the well house as part of his Eagle Scout project. This project has been two years in planning and after four visits by work teams this summer, the construction is nearing completion now at the end of August. Attention to detail marks these projects. Working from one old photo, the team discovered that the caps on the cedar roof shingles were made of lead-covered copper, and they had metal specially constructed for this job. The finial on top was hand crafted to be an exact replica of the original. 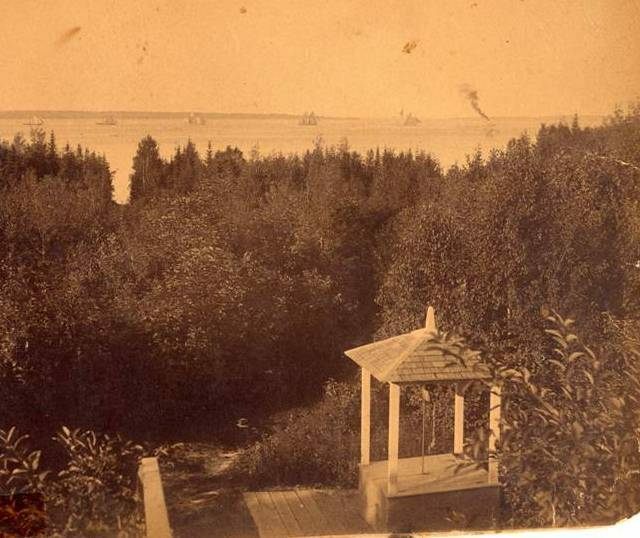 This well house was an improvement added to the lighthouse in 1896. After years of carrying water from the lake up the 60-foot hill this luxury, a well just 50 feet from the house, must have been a true blessing. Now visitors can stop and consider this tedious chore of the lighthouse family. The final steps will be painting the proper color and hanging the bucket arrangement. Tommy Oldani (back left) with the crew that helped reconstruct the wellhead.